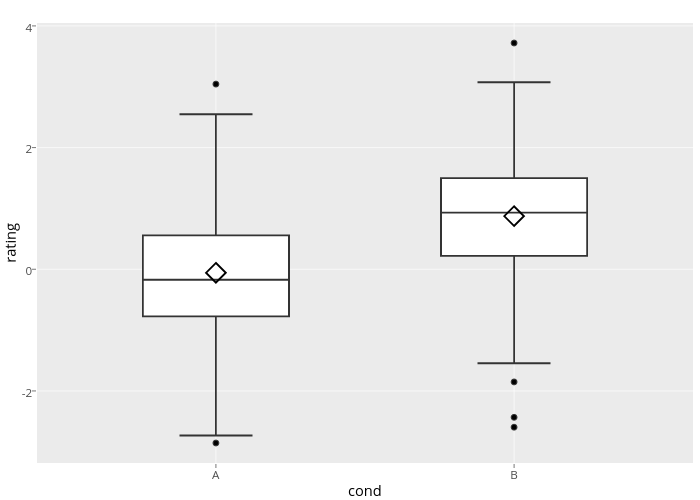 Rplotbot's interactive graph and data of "rating vs cond" is a box plot, showing  vs ; with cond in the x-axis and rating in the y-axis.. The x-axis shows values from 0.4 to 2.6. The y-axis shows values from -3.18450359430608 to 4.04788507000446.